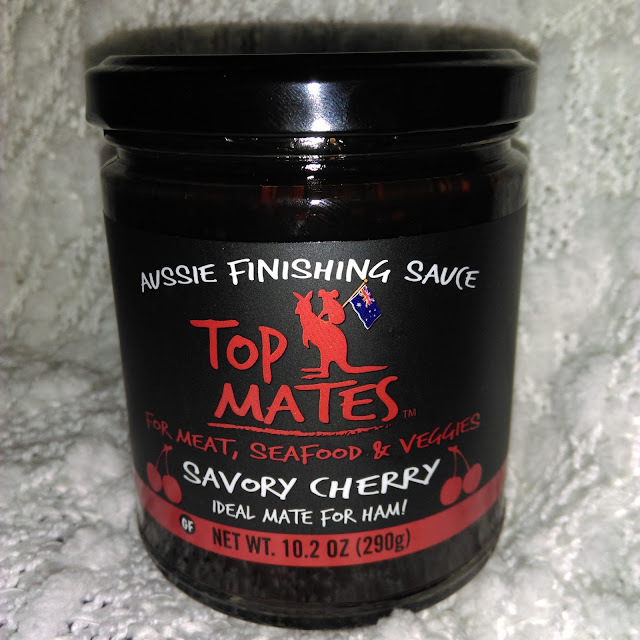 SAVE 10% WITH CODE "M4Y3C"
Top Mates are award winning finishing sauces from Australia now available in the U.S.
-Every artisan-crafted sauce is slow-cooked, yielding powerful, full-bodied flavors never seen before right out of a jar. 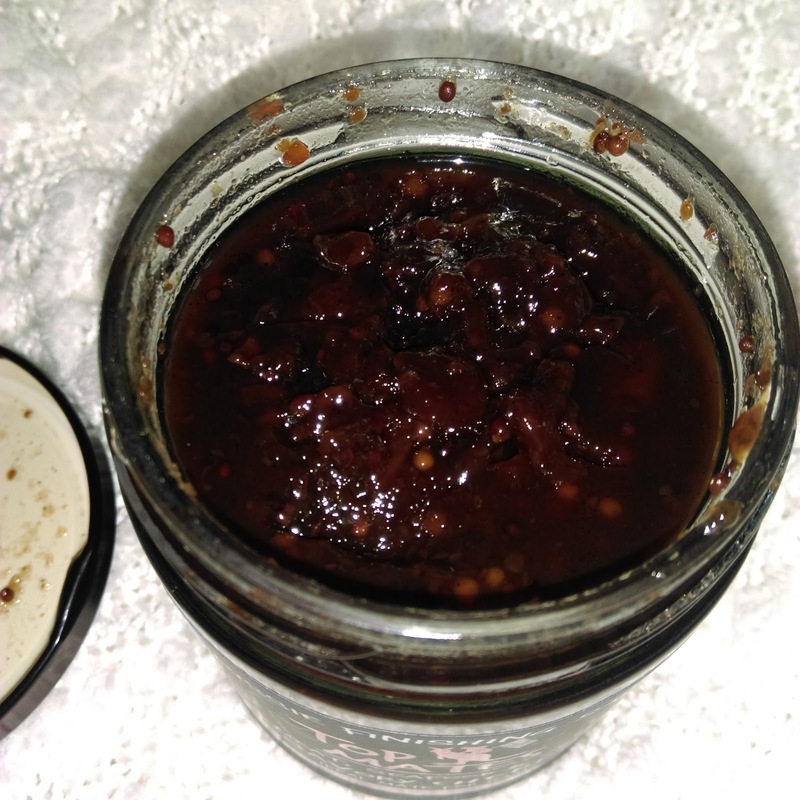 -Use as a condiment, a marinade or during cooking. 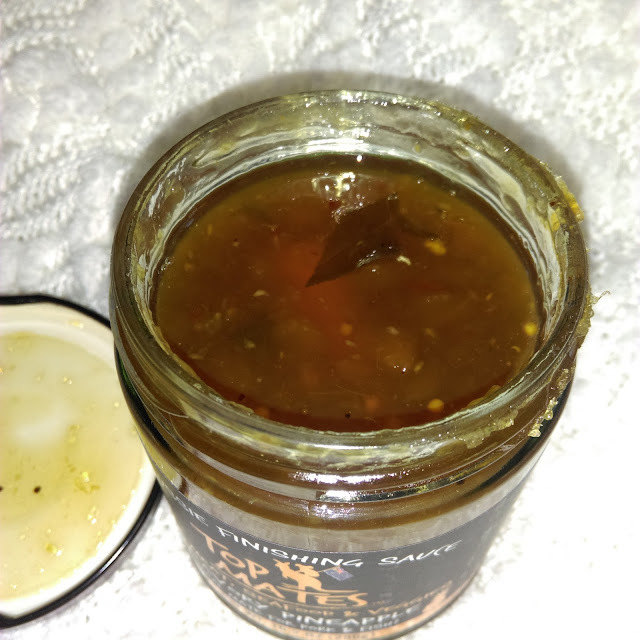 I love to cook, and I always use spices and sauces in my everyday meals. 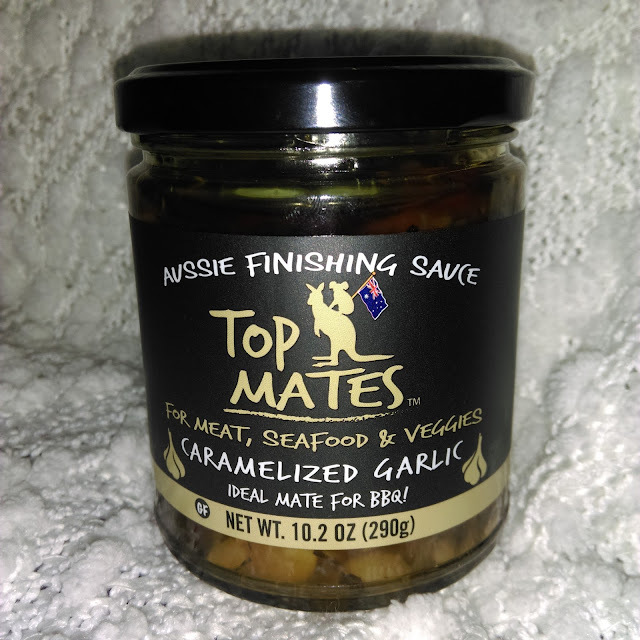 I had never heard of Top Mates before, or the term "finishing sauce". I had a chance to browse their online website, and got the idea of what they were, and the different sauces they had to offer. Right away I was drawn to 3. The Savory Cherry, Caramelized Garlic and Savor Pineapple. All 3 of those are flavors that I simply adore, and really wanted to use in some of my dishes. The next day after these arrived I took them out and decided to test them. I was making pork chops and figured that all 3 flavors would go nicely with them. I took 3 plastic bags, and put pork chops into each of the bags. I then spooned in about a tablespoon of each finishing sauce into the bags with the chops. I let them marinade for a half hour while I prepped other dishes. I will say that straight out of the jar these had powerful aromas. I was in heaven! After marinading I put the chops on a skillet and pan fried them. I added more of the sauce right before taking the chops off the heat. The smells in my kitchen were blissful! Food lovers dream! For the taste test, I took 1 of each chop, and gave each a try. All of the sauces were AMAZING! Robust flavors that just add this final touch to your dishes. The Savory Cherry sauce reminded me of Christmas again. It went nicely with the pork chop, although I bet it would be even better on a ham. It has a nice tart flavor, with some sweetness. The Caramelized Garlic was fantastic. Bold garlic flavor, again with some sweetness. 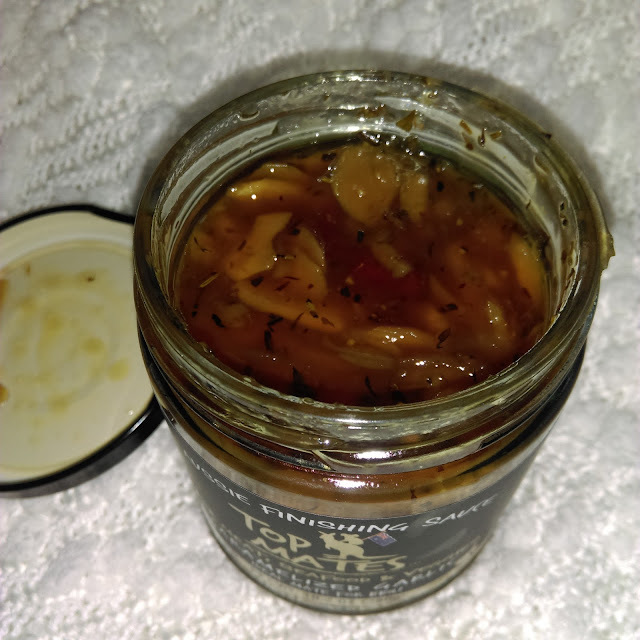 This was good with pork chops, but I am DYING to try this with steak or burgers! 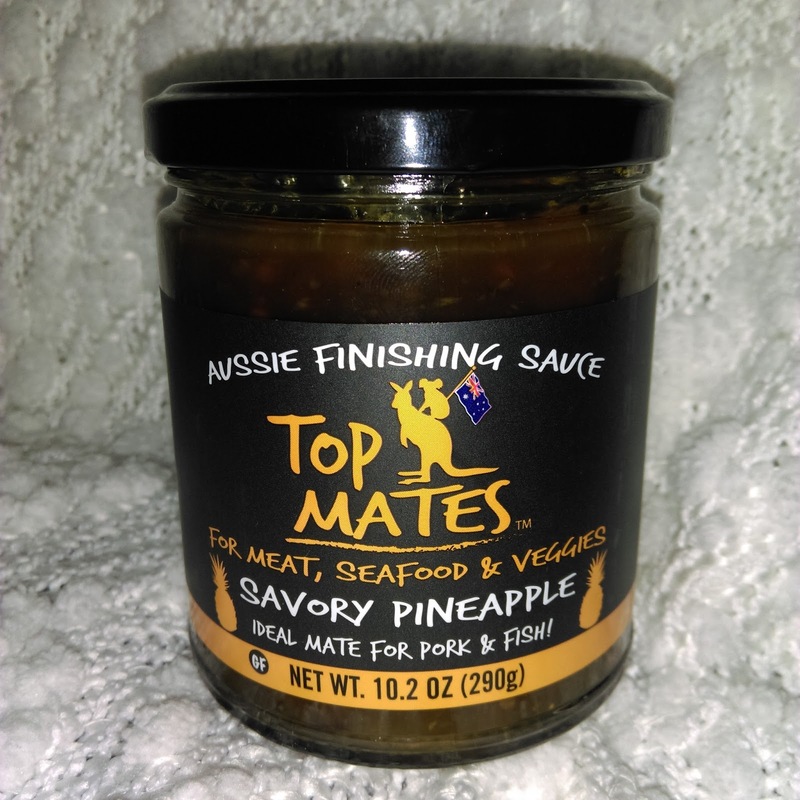 And finally the Savory Pineapple, that was a nice tropical flavor for the pork chops. It complimented it very well. 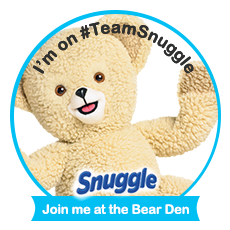 They offer quite a few flavors which are sure to please anyone and everyone! 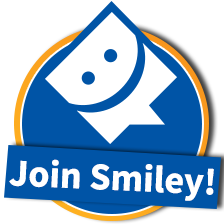 Check out their website to see all the awesome flavors! I am looking forward to using these with more dishes, and seeing what new combos I can come up with. These would be a perfect gift to give someone, or just for yourself! 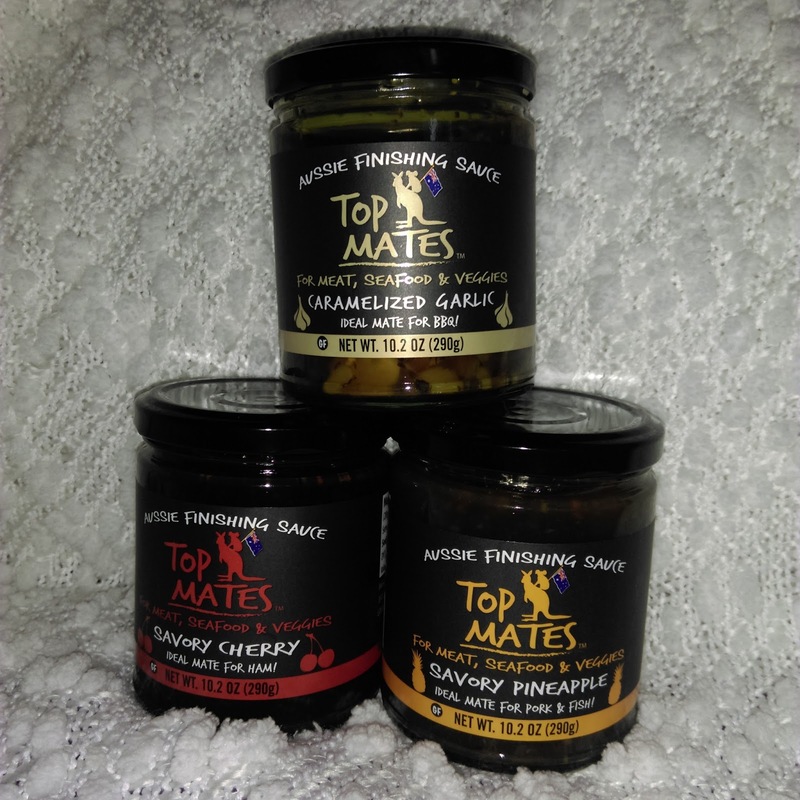 WIN 3 FREE JARS OF TOP MATES IN YOUR FLAVOR CHOICES! I'd like to try the Top Mates Aussie Finishing Sauces on meats. I would start with the pineapple on some pork chops with some sweet onion.